Nowadays, USB microphones are becoming more and more prominent each year. Although we don’t think they’re quite at the level of replacing the XLR connected condenser microphone to audio interface setup, we know of numerous singers, podcasters and other vocalists who use USB microphones professionally. It’s easy to use because you receive the power straight from your computer and plug-n-play it with merely the USB (it stands for Universal Serial Bus, if you were wondering) cord — less hassle and they’re relatively inexpensive, too. You can argue about which is better for hours, but when it comes down to it, USB mics can and will work regardless of the use. Let’s get down to the top 10 best models to see what you have to work with. The best microphone for vocal recording will allow us to truly show everyone what we’ve got. Recording that golden voice or instrument of yours is only doing the world a favor by allowing them to playback those beautiful melodies. People need to hear it! Whether you’re in a home studio, semi-pro or even professional environment, the type of microphone you purchase is critical in attaining the best mix possible. You want your listeners to hear all of the important frequencies in your voice as clearly and crisply as possible. We saw in our microphone for live shows that typically dynamic microphones are best, but in most cases for studio environments we take a different approach: condenser microphones. 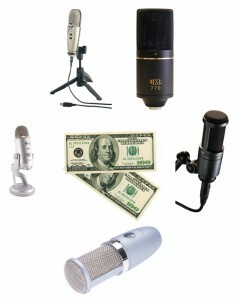 Below is the top 10 best microphones for recording vocals. Nothing can beat the feeling of singing your heart out shamelessly while your friends watch and laugh (both with you and at you!). For those of us with a golden voice box, our go-to playlist of karaoke songs is finely crafted with thought and time. For others, merely opening up that book, closing our eyes and picking whatever song our finger is pointing at will do. If you’re at home or somewhere that does not provide a professional machine, it is very affordable in picking up your own karaoke gear. The microphone you use requires a specific type, and to our avail, karaoke mics are pretty cheap. Here are the best we could find. When it comes to microphones, choosing the type you need is the most important. We’ve seen many dynamic vs. condenser microphone debates, but if you’re here you’ve already determined that you need the latter. To review, condenser microphones are best used when recording vocals; however, I’ve seen them used countless times when recording other instruments as well, such as acoustic guitar, violins, drums, and more — they’re basically perfect for recording any instrument you can think of. I’ve even heard of musicians using them to perform with, although in our best mic for performing live we recommend going with a dynamic microphone then. Allowing the world to hear that golden voice box you so deeply cherish is very important. However, in order to do so you need a proper microphone to portray it as best as possible. 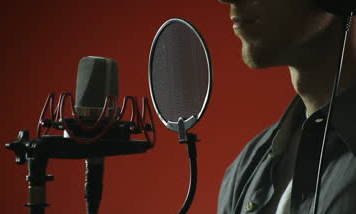 Recording vocals isn’t too tricky and the type of mic you’ll need is relatively straight forward. If you’re performing while you sing, there is a different of mic make we recommend so we will help you with that as well. If you’ve been researching around the net and have ended up here after some reading, you’ve probably noticed there are quite a few popular models, brands and styles; but which is the best for vocals? Let’s check out the best microphone for singing and how to choose it.